In June 2016, a Champion affiliate acquired a free-standing, and vacant former grocery building located at 655 S Grand Avenue. The business plan calls for a reconfiguration and repositioning of the existing 85,615 square foot property into a smaller 70,500 square feet grocery-anchored neighborhood shopping center that will include several national, credit tenants. The center is designed with two new retail pads in the existing parking field plus additional supporting retail to expand the tenant base and meet community needs. 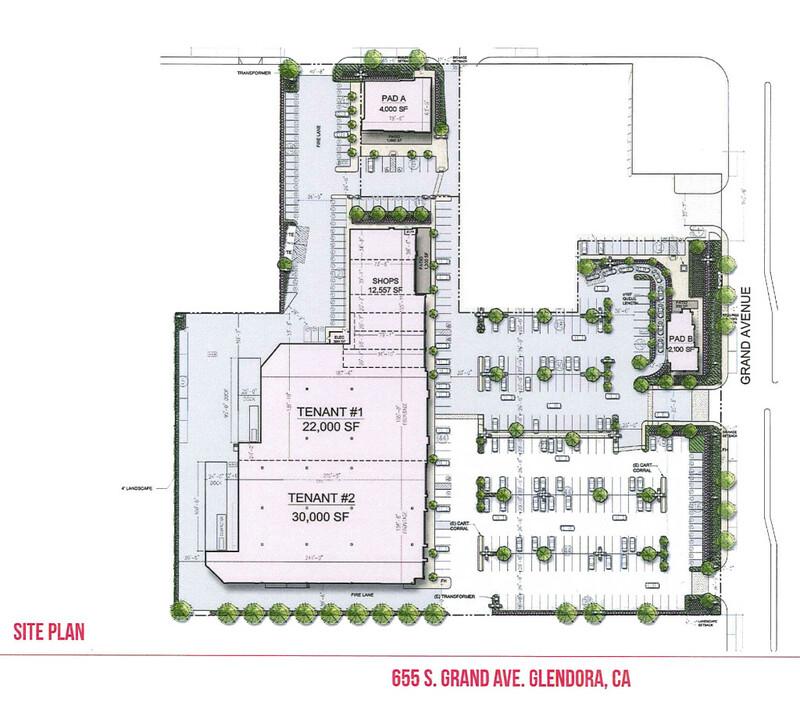 The City of Glendora Planning Commission approved Champion’s repositioning and development plan on March 1, 2016. Construction activity commenced in June 2016 with additional tenant details to be announced throughout 2016.